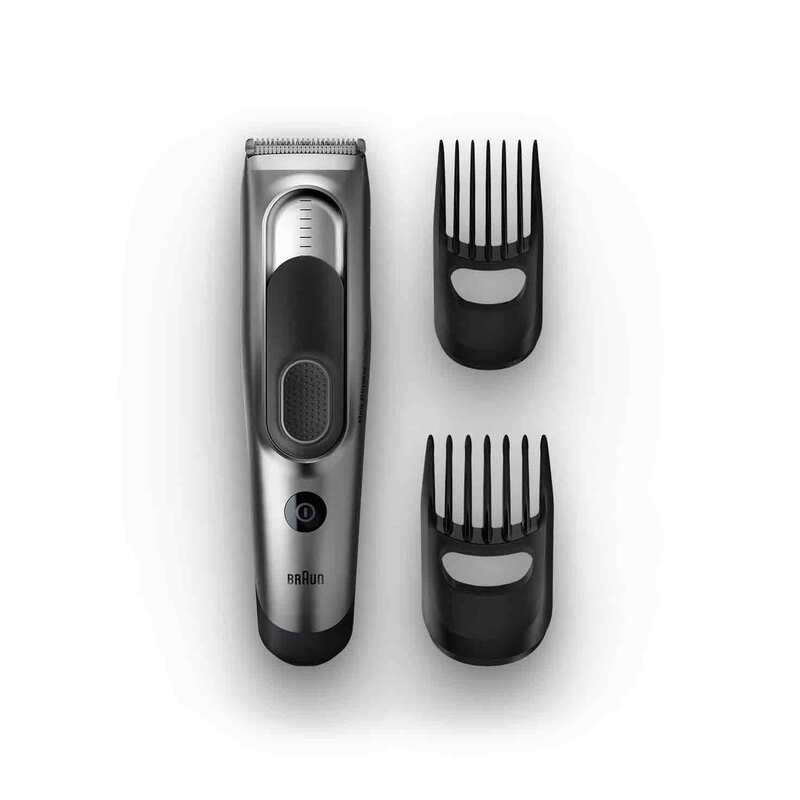 Hair clipper HC5090 with 2 combs for 16 precise length settings, charging stand and pouch. Braun hair clipper HC5090. Lifetime lasting sharp blades for the perfect hair cut. Two dedicated combs, for 16 precise length settings. Memory SafetyLock system - for perfect results every time. i've been cutting my hair for about 4 or 5 years by myself and last one year with braun hc5090. ovelall quality is high, yet there are some cons that needed to be improved -most in the future products. 1. the blade width is narrower than the market standards. i guess that's because the need of extra power but it can be solved by adding a greater battery. 2. the design of the comb adjustment button can become a mess quite easily. i mean while trimming you can simply press it accidentally and change the your adjustment very easily. that's a big design problem about the product. 3. well that's not a con actually. i hope you think about additional combs for longer hair trimming for those who finds even the 14-35mm comb is shorter, like me. i want to cut my hair much longer yet the option is very limited but you can solve this by producing additional combs. 4. continuing with the combs, i want to use hc5090 with beard trimming yet its performance isn't fulfilling with beard trimming. additional combs can solve this problem as well. 5. in this case another design problem is showing for future designs if you guys out there to decide to develop a wider blade width product : narrower blades is more compatible with beard trimming yet this can be solved as well wtih some " extraordinary" comb designs. anyways, for hc5090; its a good product with some important design failure. yet overall quality is high. if you guys decide to develop additional beard triimming specialized and longer hair adjustment combs i really really appreciate that. hope you guys take this consideration. I have used another hair clippers and most of them had an issue with the sharpness of the blades after a while. With this new blades, Braun would last for much longer than the competitive products. Also the battery seem to be a good feature, together with the washable function, which I think is a handy option for cleaning. Overall, very good hair clipper.